Seventh Pay Commission implementation finally got “yes” nod from Cabinet. Indian government has approved all recommendation of seventh pay commission and it will be implemented soon, 14.27 per cent of salary hike, pension hike, arrears will be provided to central government employees Very soon. 1. 14.27 Per cent of increase in basic pay, overall pay will increase around 23.6% hike. 24% hike in pension. 2. 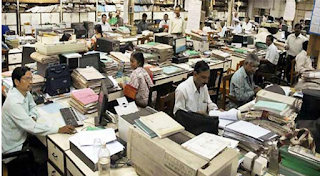 42 lakh central government employees and 52 lakh pensioners will get benefit of Seventh pay commission hike. 4. Rs.18,000 of minimum of monthly pay and maximum of Rs.2.5 lakh for cabinet secretary if fixed as per seventh pay commission recommendation. 5. HRA will be paid at 24%, 16% and 8% as per class X,Y and Z. 6. The new recommendation of seventh pay commission will be effective from 1st January, 2016. 7. For next 10 years, same pay commission will be followed. 8. IAS, IPS, and IRS class employee will get same pay band. 9. Arrears will be paid soon, every year 3% of increase. Gratuity limit is increased from 10 to 20 lakhs (whenever 50% hike in DA and Gratuity will be increased 25%). Every pay commission has increased salary by 23-25% in past all commission, but 7th pay commission hike is the lowest in last 70 years, post independence.